While everyone else is freaked out about Daylight Savings, Arizona just stays the same…why is that? Daylight savings time is something that people all over the country freak out about and are often times confused by. “Wait, do I set my clock an hour earlier or an hour later?” There are some mishaps that happen for the first few days but after that, it is generally easy to follow. Why doesn’t Arizona participate in this tradition? Here’s why. What you need to know about daylight saving time. Arizona has had an on-again, off-again relationship with daylight-saving ever since the first time-shift was established in 1918. It’s that time of year again, so here’s a little primer on daylight-saving time, and how Arizona, by not observing the time shift, fluctuates from its normal Mountain Time Zone to California’s Pacific Time Zone. 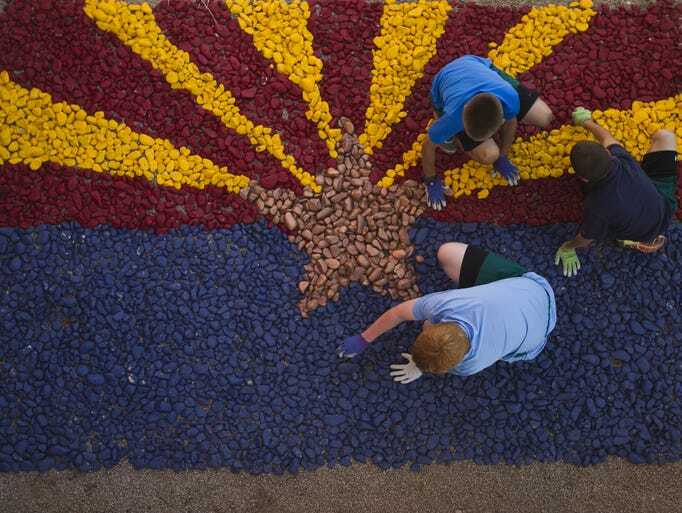 Why doesn’t Arizona observe daylight-saving time? The short answer: The last thing Arizona needs to save is daylight. On a July day when the high is 114 degrees, do you really want the sun hanging around until 8:40 p.m.? I don’t think any of us do. The state has waffled on daylight-saving ever since the first time shift was established in 1918 as a way to save on fuel during World War I. When Arizona hopped aboard the daylight-saving bandwagon in 1919, Maricopa County supervisors refused to go along, resulting in an hour gap between the county and Phoenix. When the war ended, so did daylight-saving time. Arizona changed its clocks again when daylight time returned for World War II. But the real tussle began with the Uniform Time Act of 1966. The following year, daylight-saving became permanent. States could opt out, but Arizona took part that first summer and realized that late sunsets were not cool (literally). In 1968, Arizona politicians may well have set a record for nearly unanimous agreement. The House voted 49-1, and the Senate 25-3, to boot daylight-saving. Last year, the Arizona House of Representatives briefly floated legislation to overturn the 1968 state law that allowed Arizona to opt out of the federal Uniform Time Act. Proponents said it would help businesses that had to work across time zones. The bill was lambasted and eventually withdrawn. A poll conducted by The Arizona Republic showed that 87 percent of people wanted to stay off daylight-saving while only 11 percent wanted to make the switch to it. Many states have had bills proposing changes to daylight-saving time. Texas, Alabama, Utah and California have all considered opting out of daylight-saving time, while Missouri and South Dakota are considering adopting the time change year round. No such proposals have yet passed. For almost everyone else in the country, daylight-saving time begins at 2 a.m. on Sunday, March 13 and ends on Sunday, November 6. But while the rest of the country is “springing forward” next week and losing an hour of sleep, Arizonans can enjoy that extra time and not worry about adjusting all the clocks in the house.